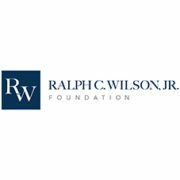 In January, 2016, David Egner was appointed president and CEO of the newly-formed Ralph C. Wilson Jr. Foundation, a $1.2 billion foundation that must spend down by the end of 2035. The Foundation’s funding priorities include Children and Youth, Working Class Families and Young Adults, Caregivers, and Health Communities defined by design and access, economic development and nonprofit productivity. Funding is concentrated in Southeast Michigan and Western New York. The assets of the Foundation come from the estate of Mr. Wilson, a Detroiter who founded and owned the Buffalo Bills NFL football team. Prior to leading the Wilson Foundation, Egner was President & CEO of the Hudson-Webber Foundation for 19 years. The Foundation concentrates its efforts and resources on its mission of improving the quality of life in metropolitan Detroit, The Foundation is often considered one of the driving forces in the transformation of Midtown and Downtown Detroit. 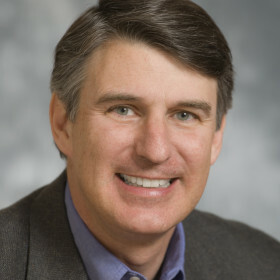 From 2009-2015, Egner also served as Executive Director of the New Economy Initiative (NEI), the largest philanthropic led economic development initiative in the country. NEI is recognized for its inclusive approach to economic development, generating nearly $3 billion in economic impact during Egner’s tenure, while seeing minority business starts created by the program exceed more than 2.5X the national average. Egner has more than 30 years’ experience working with nonprofits and foundations, from his early years as an executive assistant to the chairman at the W.K. Kellogg Foundation in Battle Creek to guiding the Michigan Nonprofit Association, a Lansing-based coalition, through its development and mergers. He serves on the boards of the Downtown Detroit Partnership, TechTown and Endeavor Detroit. In 2009, he was named one of Crain’s Detroit Business Newsmakers of the Year for his work with both the Hudson-Webber Foundation and NEI. Egner has an M.B.A. from Western Michigan University and a bachelor’s degree from Westminster College in Fulton, Missouri. He resides with his wife Tammy in metro Detroit.